Theodora (Theo) Lau is an innovator, technologist, and connector, whose work seeks to act as a catalyst for innovation to improve consumer financial and physical health. 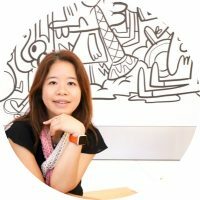 She focuses on developing and growing an ecosystem of financial institutions, corporates, entrepreneurs, and venture capitalists to better address the unmet needs of consumers (e.g. older adults), with keen interests in women and minority founders. As part of her work, she regularly mentors FinTech and HealthTech startups and fosters a growing partnered portfolio. She is a contributing writer for various digital technology and financial services publications, named one of “2017 Innovators to Watch” by Bank Innovation, ranked Number 2 “Top Female FinTech Influencers” by Onalytica, and named LinkedIn “Top Voices for Finance and Economy”. I am an engineer by education. Interests in artificial intelligence developed naturally over recent years as I am intrigued by what solutions could come to fruition with the help of such emerging technologies. AI has been around us for a while now (e.g. the AI framework that powers the Amazon product recommendation engine) and it is becoming increasingly more common. I think in the very near future, everything will have a “sprinkle” of AI. Financial planning: The way we learn, live, and work has drastically changed: we are living longer and healthier, and we are starting families later and working longer. However, the way we plan for retirement has not changed much. AI has the potential to help us plan better for longevity and support more complicated use cases for older adults such as decumulation of assets. Intersection of health and wealth: We can use machine learning to detect early warning of Alzheimer’s; financial information can be fed into a system that can learn and predict who’s likely to experience cognitive decline or become a victim of fraud. Voice Technology: The marriage of Voice, Internet of Things, and Big Data will allow banking services to be more seamlessly integrated into our daily routine, transforming voice into the new UI. I expect to see new experiences that we could not even begin to imagine today. Honestly, there are too many. I read quite a bit, so I learn from newspapers and periodicals, as well as various digital publications and non-fiction by various writers. I have also been very fortunate to be able to draw from a big community of digital friends. I get my inspirations from people who are passionate about making the world a better place. Technology is just a means to an end. We can leverage it to improve healthcare, financial well-being, and more; we will fare better in the end. Providing a differentiated user experience will again be a prime focus for companies in 2018 as they fight for a customer’s heart and soul (and money). I am excited for what AI can enable with chatbot and voice first applications. Automation is another area that will be key; I believe that while some manual and mundane tasks will be eliminated, AI will ultimately create more meaningful jobs and free us up to spend time to be human again. I am open to podcasts, webinars, whitepaper, and speaking opportunities. Twitter and LinkedIn will be the best way to connect with me.